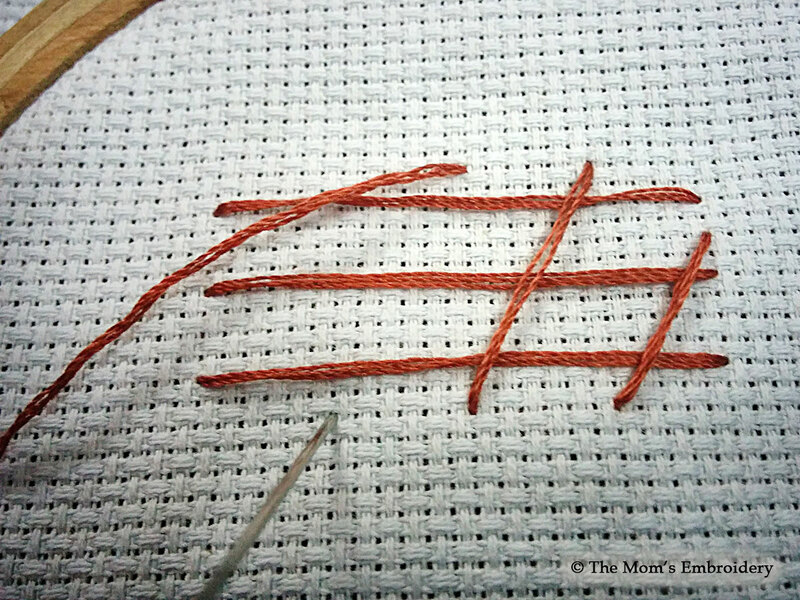 With simple, long, Straight stitches, Basket Stitches are created. 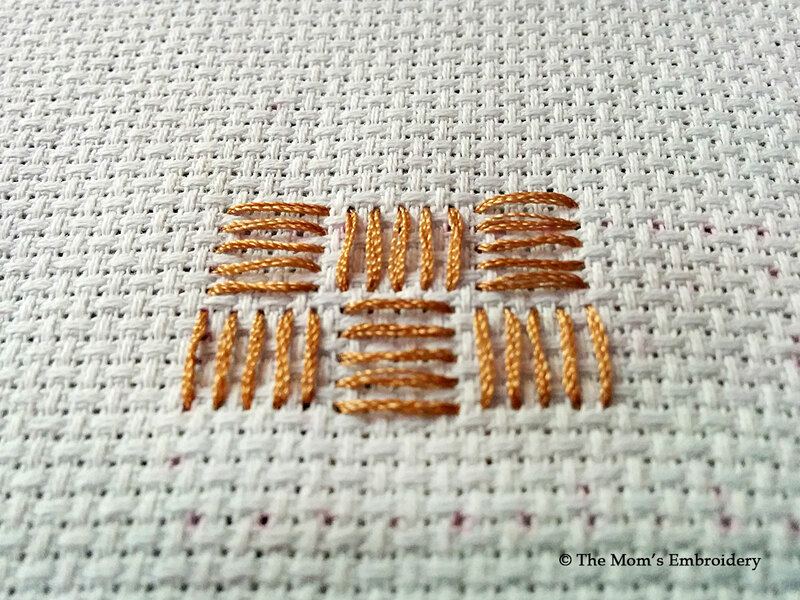 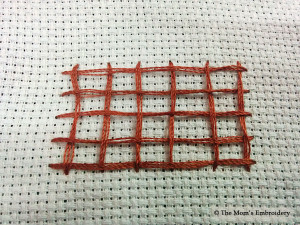 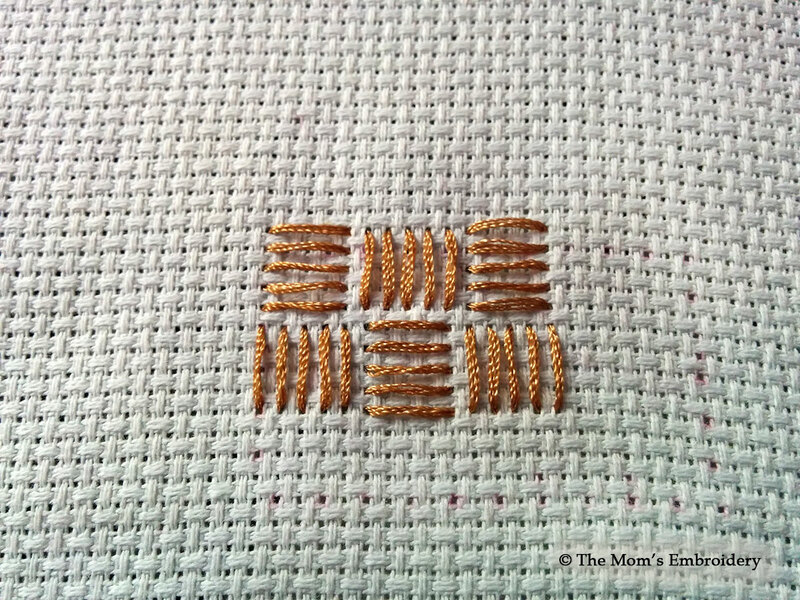 With several variations, these stitches can be used for filling certain shapes/ areas. 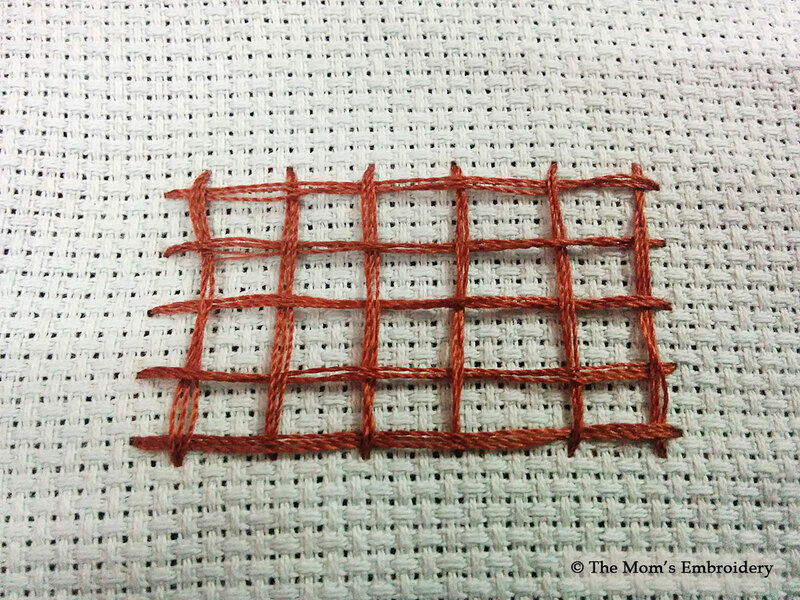 I’ll show three types of Basket stitches. 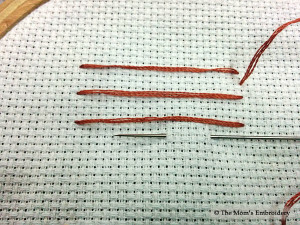 The first two are done in two or three rounds. 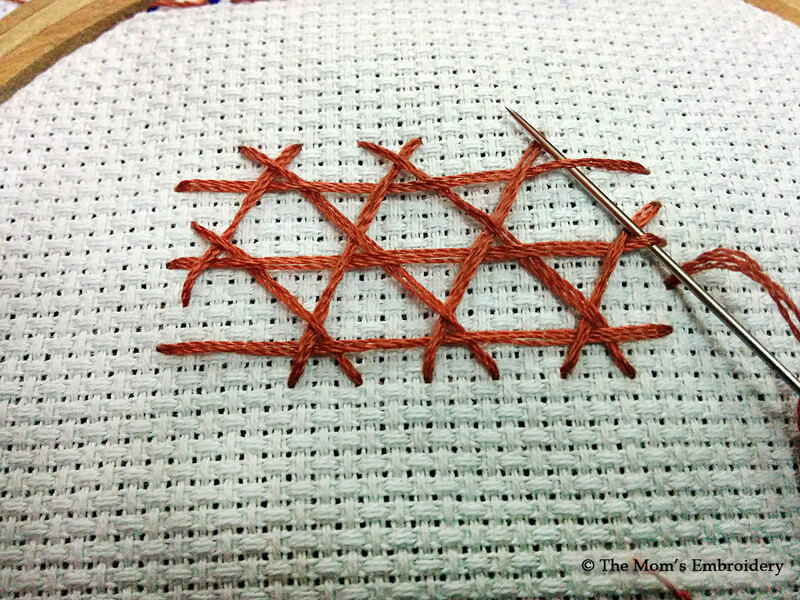 And the last one is done with straight stitches done both horizontally and vertically. 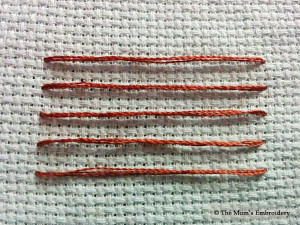 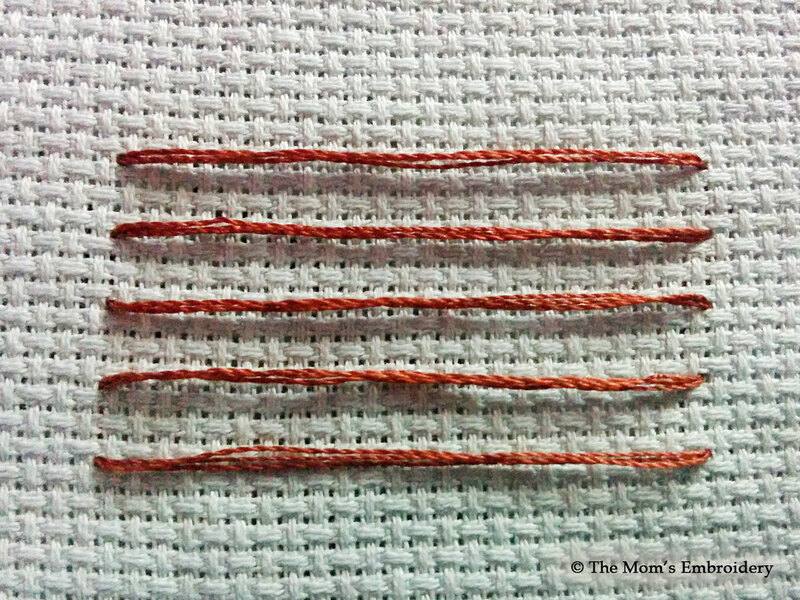 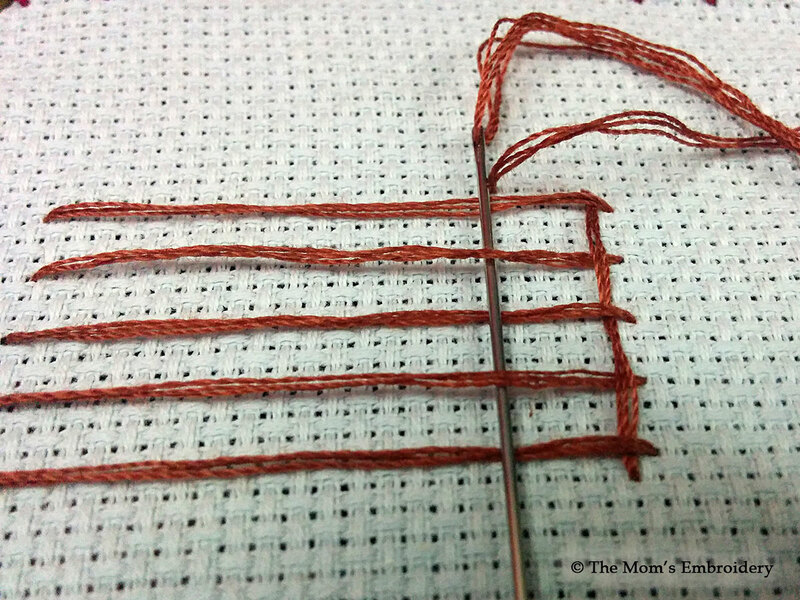 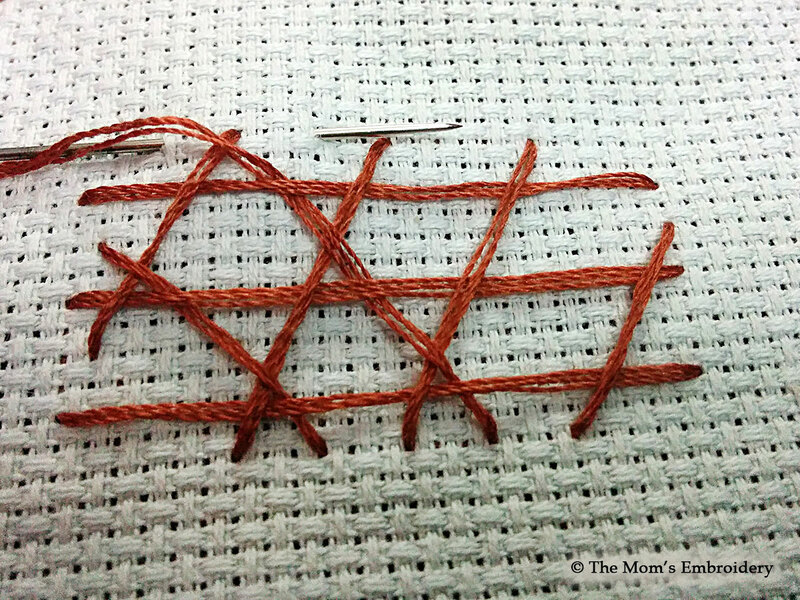 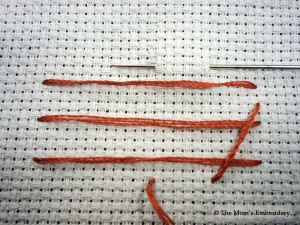 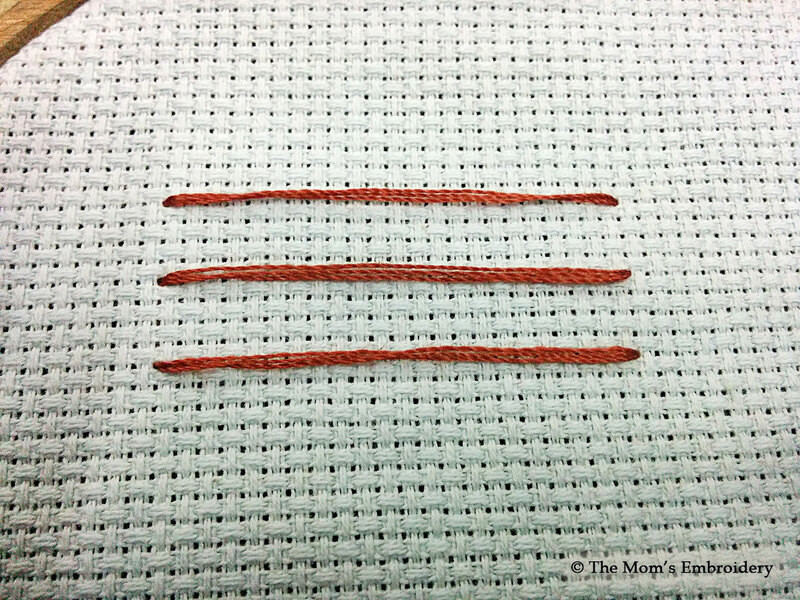 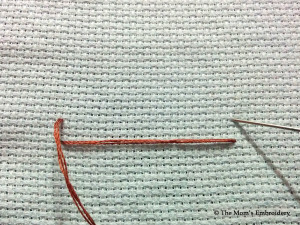 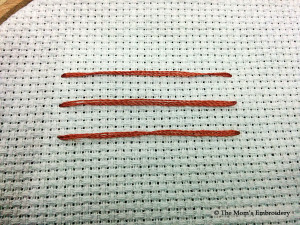 At first, do some long straight stitches horizontally. 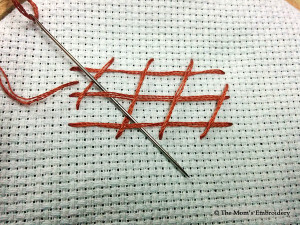 After completing this, continue the straight stitches in vertical manner. 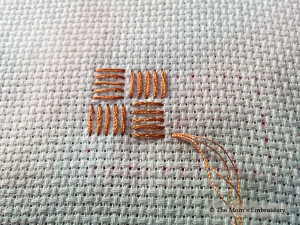 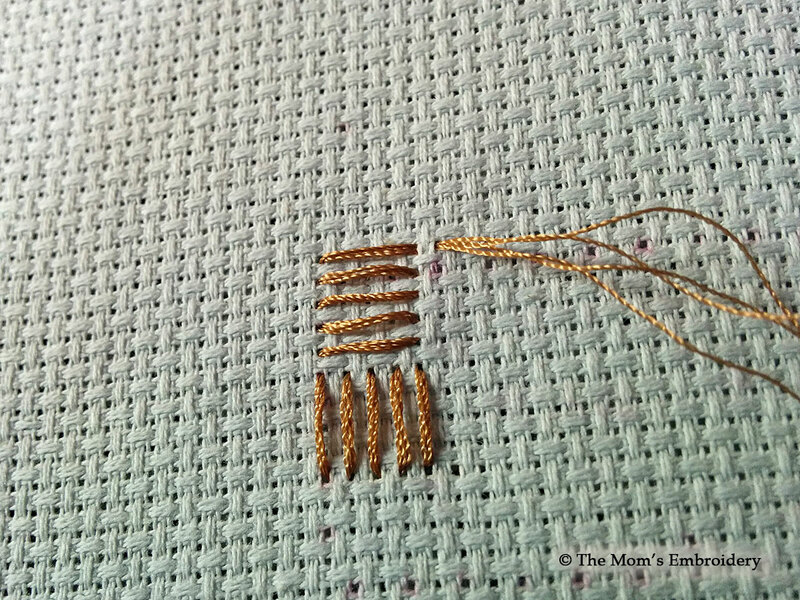 While doing the Vertical Stitches, the threaded needle will have to be taken up and down while crossing the previously done horizontal stitches. 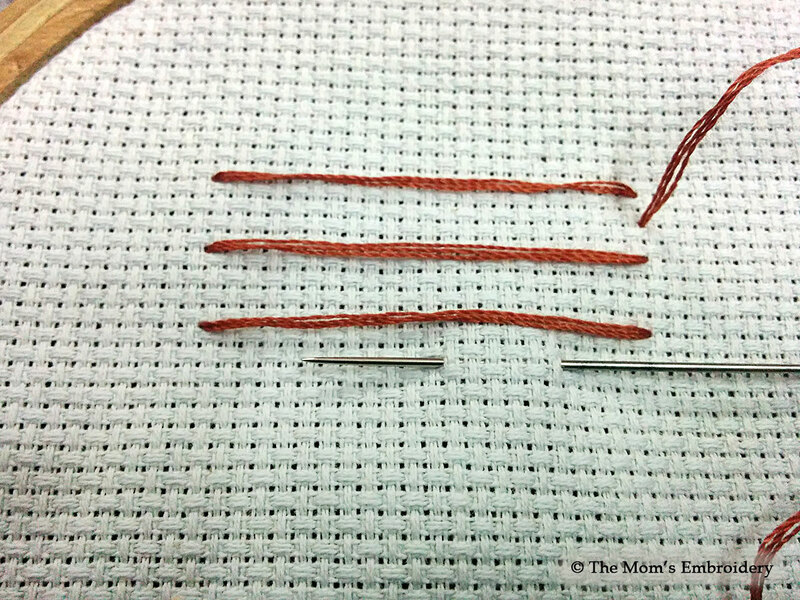 A certain distance should be maintained. 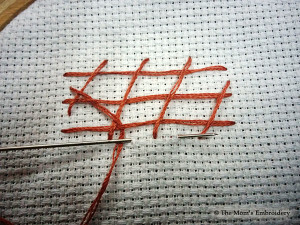 And the stitches should be straight, so that it takes a squared shape. 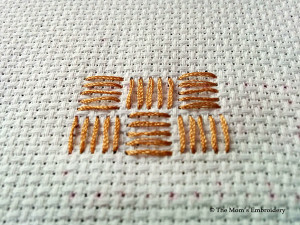 This one is created with diagonal stitches. 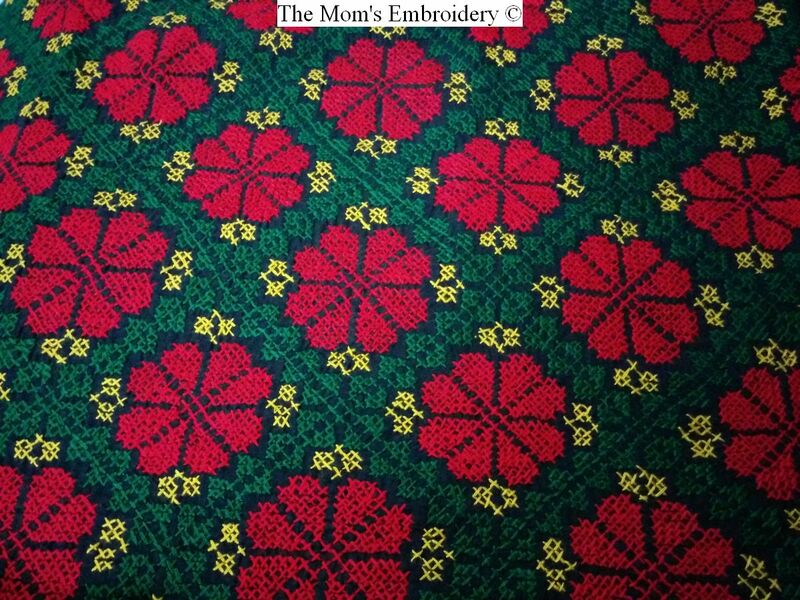 It looks beautiful in of border of fabrics. 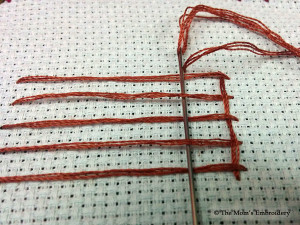 At first do some horizontal long straight stitches. 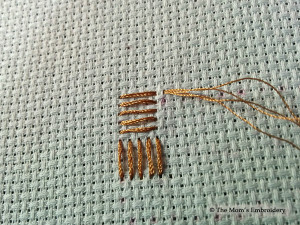 After that, do some vertical straight stitches diagonally, starting from a little bit over the second horizontal stitch. 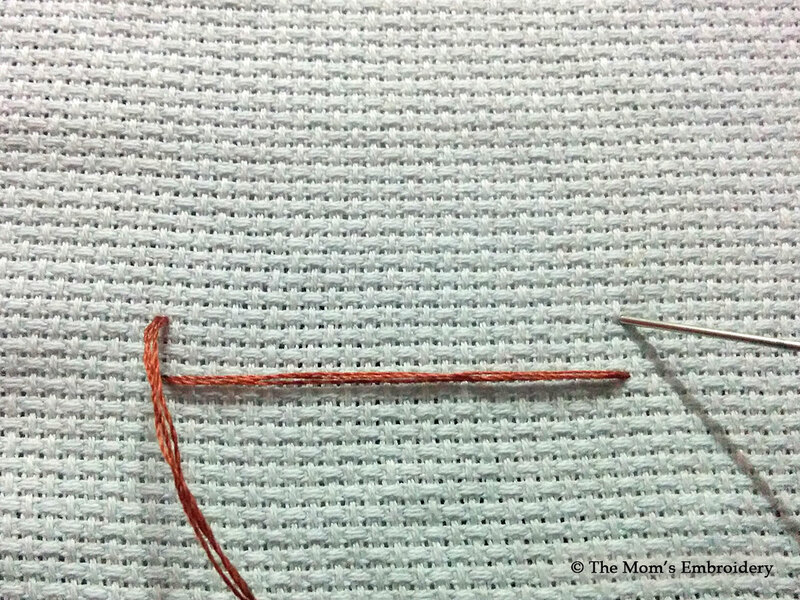 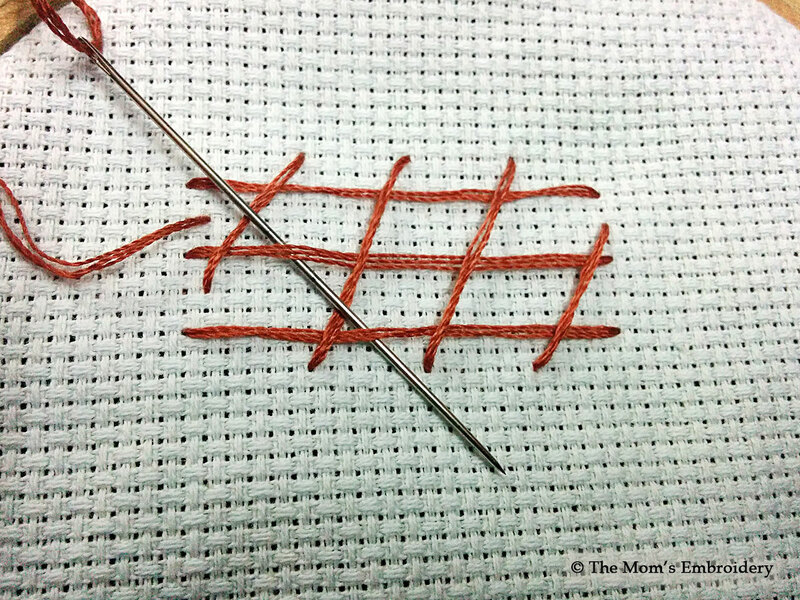 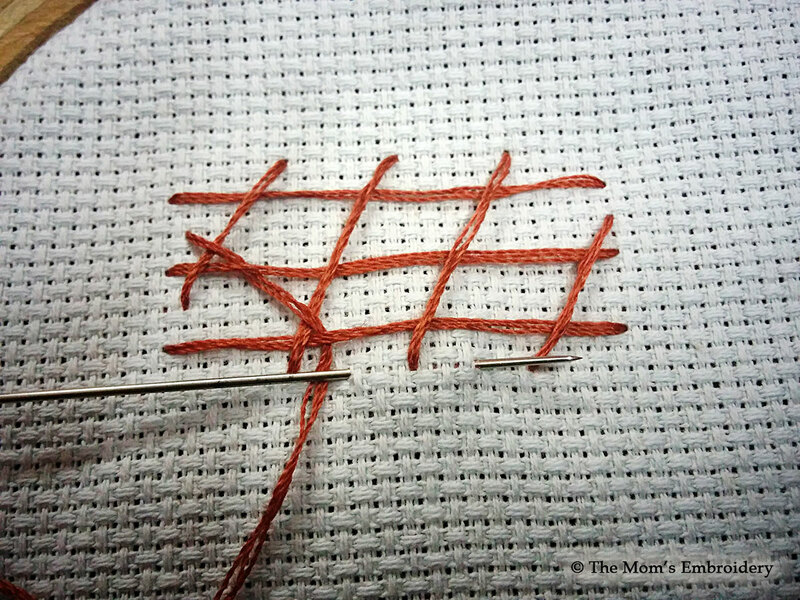 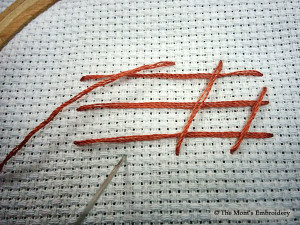 After completing the second round, do similar vertical straight stitches from the opposite direction. 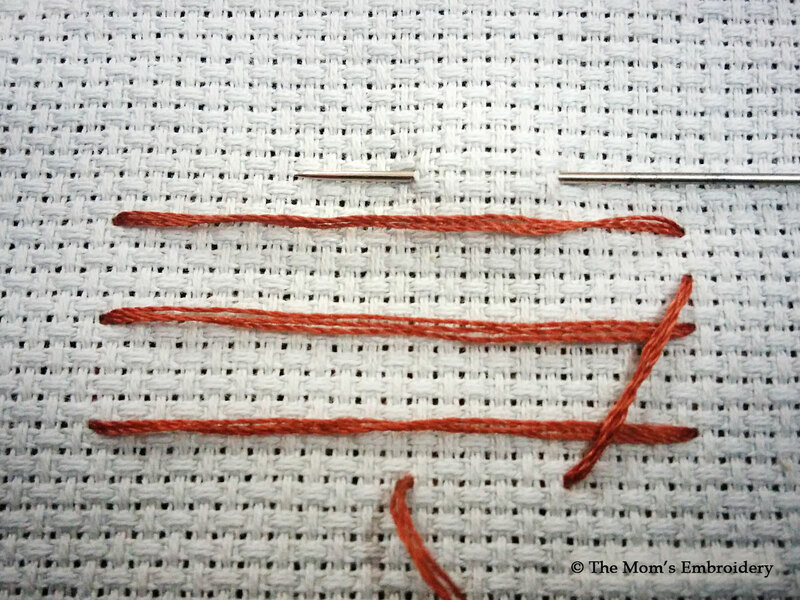 To start the third round the threaded needle is pulled up through the fabric close to the second horizontal stitch, opposite to the same point from where the second round started. 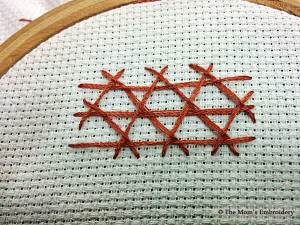 Continue the diagonal vertical stitches from the opposite direction till the other end. Make sure that the ends of each stitch is close enough to make the diamond shape look good. 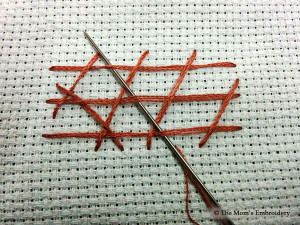 First of all, draw a square shape. 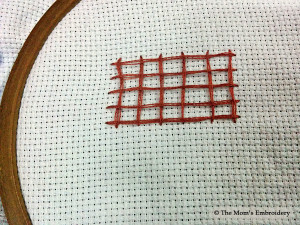 Then draw small horizontal lines in the upper left part of the square.Draw small vertical lines in the middle. 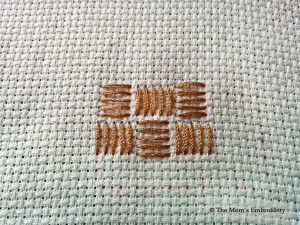 Then again draw small horizontal lines. 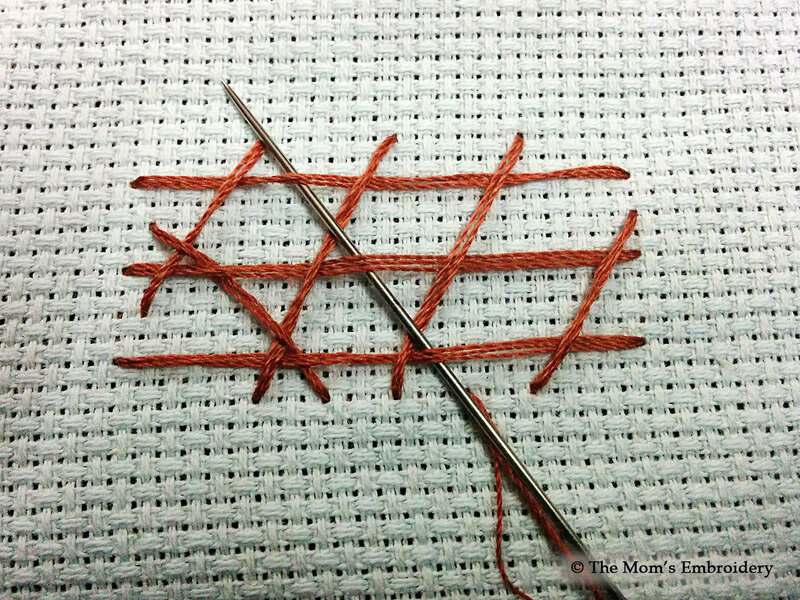 Under all these vertical and horizontal lines, draw lines just in the opposite manner. 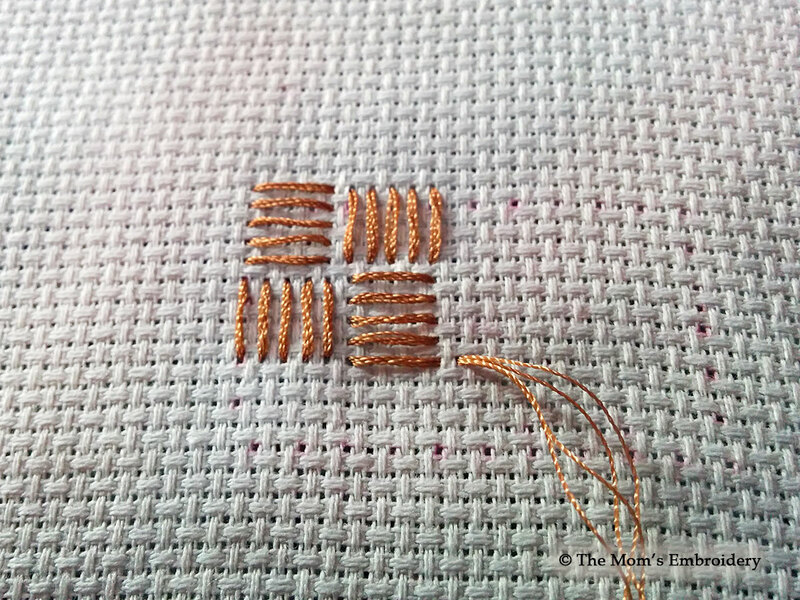 That is, under the upper horizontal lines, we will have to draw the vertical lines and under the vertical lines draw the horizontal lines. 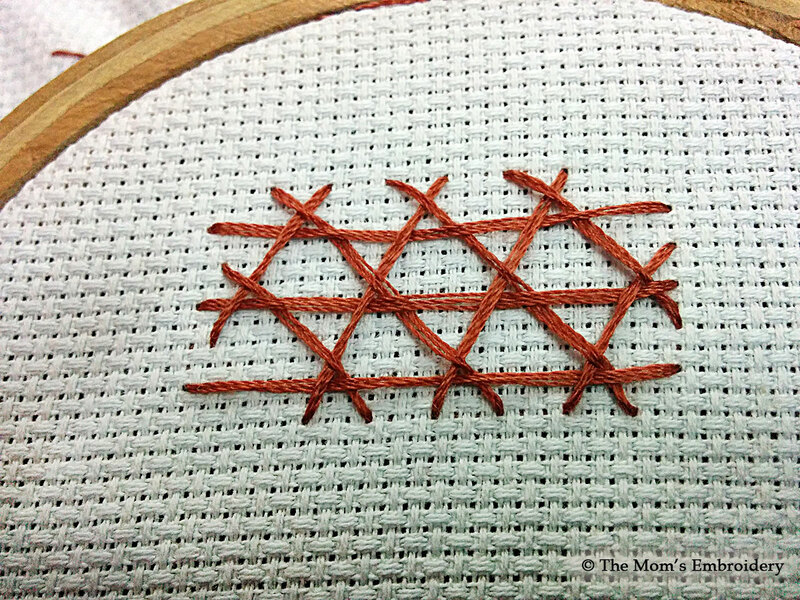 Do the straight stitches following the lines. 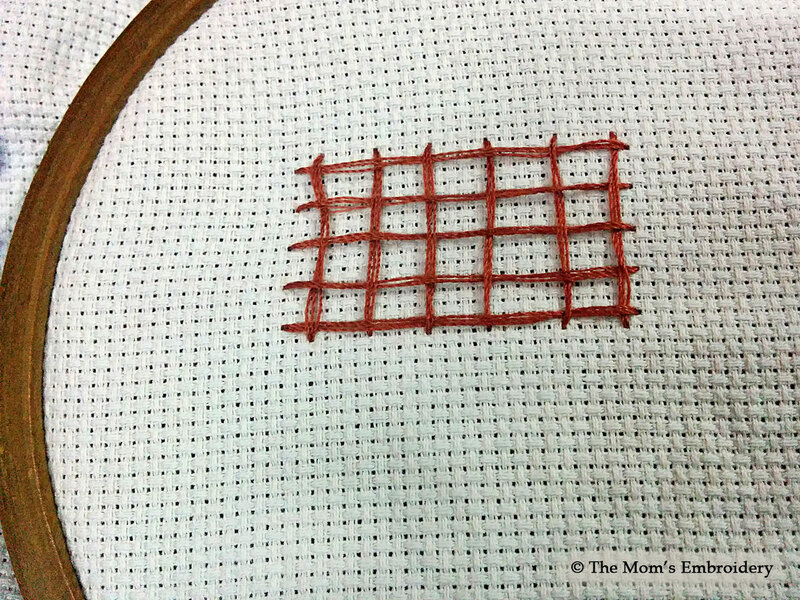 Remember, all the lines are drawn within the square shape. 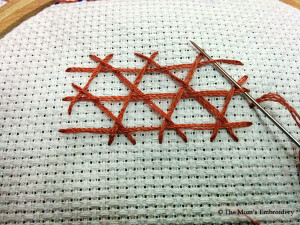 So the ultimate square shape is maintained. 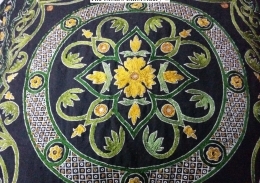 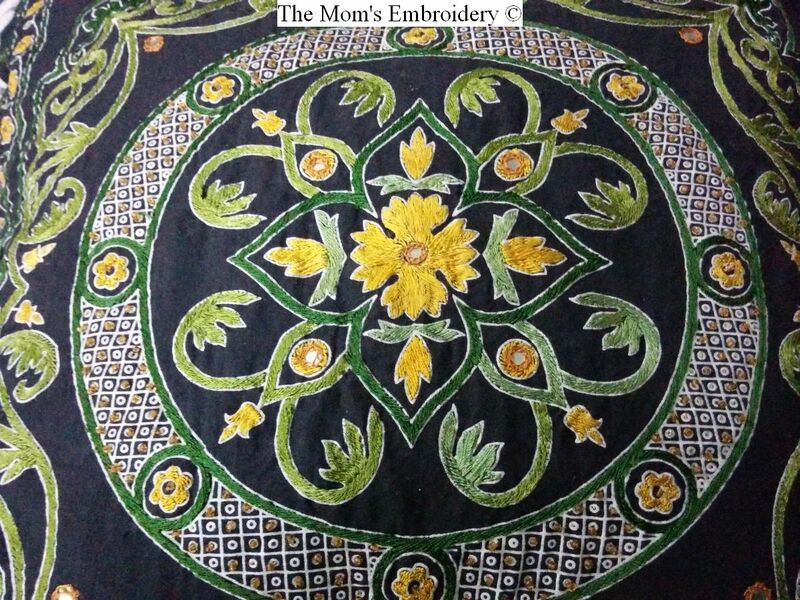 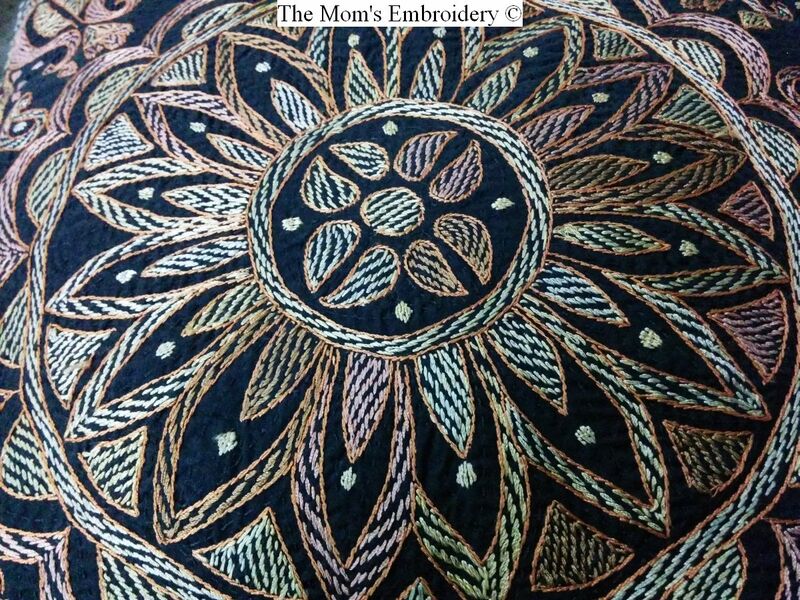 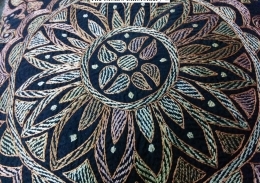 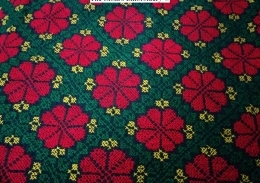 This will look good in any kind of border, decorative filling, or in any fancy embroidery project.